Despite a gloomy property market since the introduction of the total debt servicing ratio (TDSR) in June 2013 with the demand for new launch condo projects has been badly affected, 2015 has been a year which silver linings and also pockets of opportunities have emerged. According to statistics and reports, property investors in Singapore can see that properties in the Rest of Central Region (RCR) have outperformed the Outside Central Region (OCR) and also the Core Central Region (CCR) for the past 2 years. 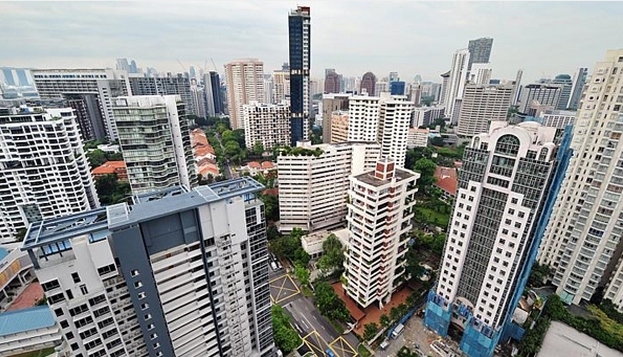 2 years after the TDSR, how has it affected the Singapore property market? Positive sales results from new launch Principal Garden and Thomson Impressions in October, together with The Poiz Residences in November have clearly reflected strong interest from private home buyers for such developments in the RCR. It was also noted that rental transactions in the secondary market have also shown positive signs. The rental decline across all regions in Singapore for non-landed residential properties was 2.6% in 2014, but for RCR homes, the drop was only by a mere 0.3%. Even for the first 3 quarters in 2015, the rental decline has also been the lowest in RCR when compared to other regions. Residential homes in the RCR are usually presents themselves as attractive options to tenants as they are considered relatively more affordable than high-end homes located in the city centre or CCR, and yet within just minutes’ away. While the property market sentiment has been rather subdued in 2015, the recent response for the upcoming residential development of the Bidadari estate has been astounding. In November, the build-to-order HDB flats in Bidadari has received an overwhelming amount of applicants looking to own a home in the city-fringe location. Looking from a long-term perspective, this will act as a good support for the demand for resale private homes in the precinct, which may also include Potong Pasir, Woodleigh and Bartley areas. In fact, healthy sales were already seen at some of the older city fringe new launch projects, such as The Venue Residences and Botanique at Bartley with more than 60% of the units sold so far.